It is good service with Ben. The best service I ever had. Thank you. Braman is great - they come whenever we need then. The MultiPest Plan is great! 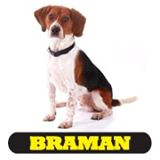 I highly recommend Braman to professional and personal contacts. The service level is currently what is expected. So far no ants or bugs. Very thankful. The technician is reliable, personable and always checks in on any concerns. I highly recommend Braman! I have been your costumer for many years ago. efficient and professional is what comes to mind. very happy with the service been provided by Braman team. Just was a great guy! Job got done beautifully! Very professional personal & pest treatment results are great. Once again, your technician was on time, efficient and friendly - and solved my problem. Thank you! Whenever I have a problem your people take care of it. Continued timely work, with courteous Braman personnel who are very attentive to our pest control issues. Excellent customer service! Arielle is great!! I called Braman to remove a wasp nest from my grill. They did a fantastic job from making appointment to the final customer report. They also removed a 2nd nest that I wasn’t even aware of. We are very happy with the service we receive. Been using for 14 years and have been happy with the service I get. Technician was polite asked if I had any issues to call to his attention. He was thorough. I have been pleased with the service, and customer service is top notch. Nice work. No more ants! Tech is efficient and professional while working at the facility. communicating any issues along with solutions. Pest log is maintained and updated. We have not seen another ant in the house since having it sprayed. So far so good. No bugs to bug us.